A golf simulator was the driving force behind this lower level remodel in Hartland. Since that required tearing up the floor and excavating part of the foundation, the homeowners went all in and upgraded the entire space. 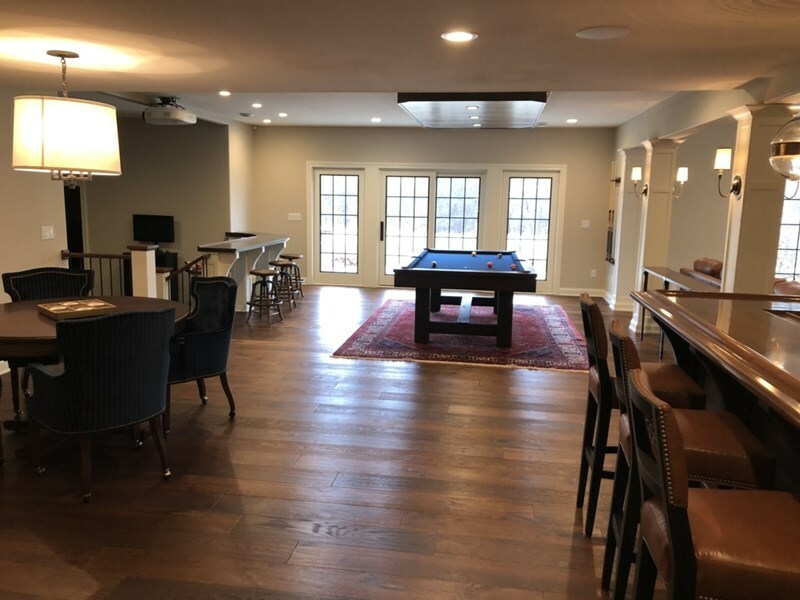 Rob Miller Homes updated the bar and pool area with clean, modern finishes, and reconfigured the doors and windows to let in more light. 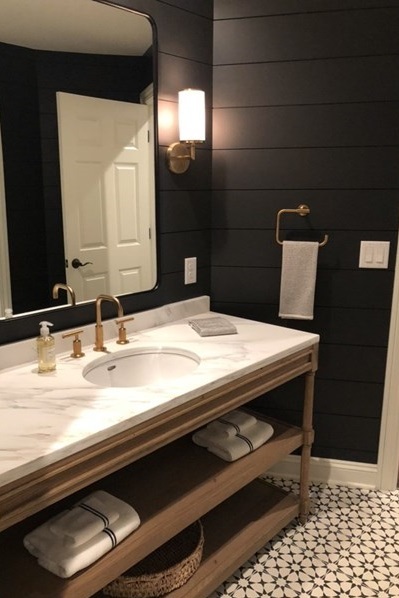 A bathroom and guest room were also updated. The end result is comfortable and inviting for enthusiasts of all kinds, whether the game is golf, pool, cards, or spectating.